Adcount Technologies Pvt. 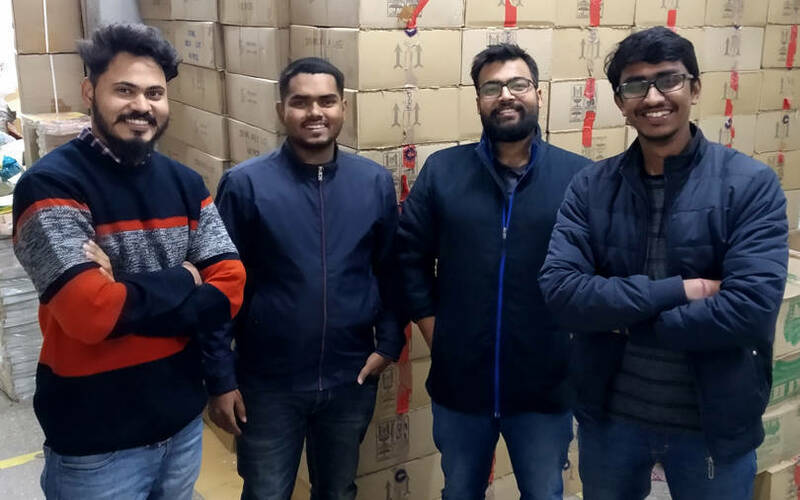 Ltd, which operates online procurement platform for restaurants Adurcup, has raised a bridge round of funding led by startup incubation platform Venture Catalysts, a top company executive told TechCircle. Kumar Kushang, co-founder of Adurcup, said that a few individual investors also participated in the round. These include Dipan Dalal of MK Ingredients & Specialities, Navin Pansari of Olympia Industries Ltd., Sudhanshu Rastogi of Sarc Infrastate Ltd, Somesh Bhatia of FCC Projects Pvt. Ltd and Singapore-based venture capitalist Tushar Aggarwal. Kushang said that the Noida, Uttar Pradesh-based company will use the capital to train the distributor network in using technology and expanding its presence in all the major metro cities, especially Mumbai and Bengaluru. It will also use the money to set up a supply chain network. Adurcup was founded by IIT Kanpur alumni Kushang, Abhishek Verma, Harshit Mittal and Nitin Prakash in July 2015. The online platform offers a software-as-a-service and e-commerce stack to manage vendors, inventory, distribution centres, logistics and product sourcing. The company runs a web and mobile platform for restaurants to transact across multiple verticals from a verified vendor base on daily basis. It helps restaurants procure groceries, packaging materials and housekeeping materials. It also provides them pest control services and helps them connect with their customers. Adurcup has previously raised three rounds of funding. It had raised seed funding from Dineout founders in September 2015. The following year, startup accelerator Green House Ventures invested $100,000 (around Rs 67 lakh then). In March 2017, it raised pre-Series A funding from some existing investors and others, according to its website. Abhishek Verma, chief operating officer and co-founder of Adurcup, said the company has so far been focussed on the non-perishable segment in the restaurants. After expanding in the national capital region, it is now looking to establish its presence in supply chain automation across the country, he added. Apoorv Ranjan Sharma, co-founder and president of Venture Catalysts, said Adurcup has created a strong database on the basis of digital transactions. It has recorded half a million food deliveries and helps more than 500 small and medium businesses in the value chain. “Adurcup is moving closer towards its vision of building the technology infrastructure long awaited to bolster industry’s supply chain,” Sharma said. Mumbai-based Venture Catalysts usually invests between $250,000 and $1 million in early-stage startups. It was set up in December 2015 by Sharma, Anil Jain, Anuj Golecha and Gaurav Jain. Its most recent investments include car financing startup OTO Capital, environmental intelligence startup Ambee, bike-sharing app Mobycy and medical-technology startup iNICU. In November 2018, it facilitated an angel investment round in car wash startup CleanseCar.